The paper deals with the estimation of existing approaches to electromagnetic fields and radiation shielding. The metrological base has proved to be insufficient. The new approach to solving this problem has been offered. The paper presents the electromagnetic shields classification in accordance with their structural features for preliminary efficiency estimation, depending on the screened field frequency range with multiple sources of electromagnetic fields. Geometric criteria calculation provides an opportunity to choose the most efficient form of shielding depending on the field source location, its frequency and amplitude characteristics. The experimental study performance and theoretical calculation make it possible to select the technical characteristics of the material meeting the absorption requirements and reflection ratios depending on the screening purposes, as well as to select the geometrical parameters of the electromagnetic screen, based on the criteria developed. Calculations of the advantages of this approach have been performed, restrictions and disadvantages for specific working conditions and safety conditions in the technosphere have been identified. Keywords: electromagnetic field, screening, measurement. Glyva V.A. Method of electromagnetic screen shielding properties determination / V.A. Glyva, E.V. Panova // Science & military, 2013, №2. Apollonskiy S.M. 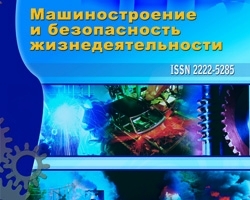 Postroenie modelirujushhih ustrojstv dlja issledovanija vneshnih jelektricheskih polej istochniko [Building simulators to explore sources of external electric fields] / S.M Apollonskiy, I.D Loginov // Izvestija AN SSSR. Jenergetika i transport [Math. USSR Academy of Sciences. Energy and transport], 2009, № 1. – P. 104-110. Glyva V.A. Zasobi pіdvishhennja bezpechnoї ekspluatacії suchasnogo komp’juternogo obladnannja [Means to improve the safe operation of modern computer equipment] / V.A. Glyva, A.V Luk’yanchikov, L.O Levchenko, O.V Panova // Problemi ohoroni pracі v Ukrainі [Problems in Ukraine parts receptionists]. – Kiev, 2008, № 15. – P. 98-105. Volohov S.A. Zakonomernosti raspredelenija vneshnego magnitnogo polja jelektrooborudovanij [Patterns of distribution of an external magnetic field of electrical equipment] / S.A. Volohov, P.N Dobrodeev // Jelektrotehnika [Electrical engineering], 2006, № 4. – P.28 -33. Patent 74857 Ukraine, IPC G12V17/00. Elektromagnіtnij ekran z kerovanimi zahisnimi vlastivostjami [Electromagnetic shield with controlled barrier properties] / Glyva V.A., Nazarenko M.V., Podobed І.M., Matveeva O.L., Panova O.V. ; Representative and patent owners; stated 12.05.2012, published 12.11.2012, Bull. № 21. Lynkov L.M. Gibkie konstrukcii jekranov jelektromagnitnogo izluchenija [Flexible design screens EMI] / L.M Lynkov V.A Bogush, V.P Glybin. Ed. L.M. Lynkov. – Minsk, 2000. – 284 p.